MacX QuickTime Video Converter Free Edition is a versatile free QuickTime video converter that runs fast to free convert almost all videos to QuickTime, MOV, MP4 and MP3 for Macintosh OS. QuickTime is a sophisticated media player for you to view videos with pristine video quality, however, it only supports limited video formats MOV, MP4, M4V, MPEG-2, 3GPP, 3GPP2, AVI and DV. MacX QuickTime Video Converter Free Edition is thus developed and it is able to free convert almost all HD videos and SD videos to QuickTime accepted formats on Mac with first rate quality. The input file formats covered by this powerful free video to QuickTime converter include AVCHD, MPEG4 AVC, MKV, WMV, Blu-ray video(MTS, M2TS), HDTV video, HD camcorder video, FLV, Dvix, Xvid, H.264, WebM etc. So with the help of this QuickTime free video converter, all Mac users can now watch any video with QuickTime without any format limitation. Step 1: Click "+" button to load the target video. Or simply drag and drop to import your video to be converted. Batch conversion is supported. Step 2: Choose QuickTime MOV as the output format from the drop-down window. You can also freely convert QuickTime to MP4, MP3 format. Step 3: Tap "Browse" to save output video and click "RUN". 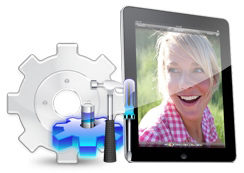 Enjoy the high-quality conversion with the free QuickTime converter for Mac. MacX QuickTime Video Converter Free Edition supports converting almost all HD and SD video to MOV and MP4 formats which are recognized by the QuickTime player on Mac for free. With this free video to QuickTime converter, you are allowed to convert videos such as AVI, WMV, MKV, MPEG, RM, RMVB, VOB, 3GP, FLV, MOV, AVCHD, Blu-ray(MTS, M2TS) etc to QuickTime and watch them freely. This QuickTime video decoder/encoder for Mac is able to convert HD-Camcorder video AVCHD MOD TOD MTS to MP4 MOV formats, which empowers you to convert the HD videos shot in your cam recorder and then view them by QuickTime in an easy and convenient way. Multi-core CUP and Hyper-Threading supported, This QuickTime video converter offers super fast speed to free convert any video to QuickTime format. The Built-in High Quality Engine and De-interlacing scanner could bring you an unprecedented high quality and smooth conversion experience. 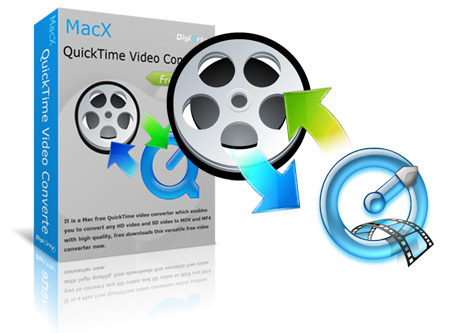 MacX QuickTime Video Converter Free Edition is design with a simplistic interface and easy to operate controls for users to finish converting any video to QuickTime accepted video formats with ease. Both novice and veteran users can easily control the whole process. This free Mac QuickTime video converter can not only serves as a MP4 converter for Mac, but also extract audio track from the original video and save it as MP3 file without perceptible quality loss. Users can also freely select any snapshot from the video and save it as JPG and BMP for future use. Besides the profiles, you are allowed to customize all video and audio settings to cater to your personal need, including Audio Sample Rate, Audio Quality, Video Resolution, Video Quality, Video Frame Rate and Output Image Setting etc. It is totally free yet 100% Clean. No Spyware, no Malware, no Adware, no virus. No watermark, no time limit, no functions or features reserved. This free QuickTime video converter is available for free download anytime. This is a wonderful and useful video tool for me because it is accepts most video formats compared among other QuickTime video converters that I could search. Till now, I have converted two of my Blu-ray discs to QuickTime and now I can watch the HD movie without using my DVD drive or rummage it here and there. I will go on using it for future. Thank you. I love the crisp video quality that this video converter could offer me, once I was under the wrong impressions that a free video converter could not deliver high quality effect, however, it completed the whole conversion in a short time and the quality looked pretty excellent. I was lucky to find it so early. Best QuickTime supported formats and recommended settings and software for you to play unsupported videos on QuickTime player. QuickTime MOV videos won't play on Windows Media Player? 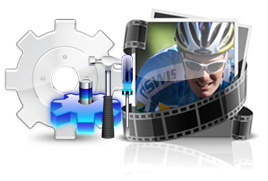 Learn how to convert QuickTime MOV to MP4 fast with no quality loss. If you cannot upload MOV video to YouTube, please follow the tips to convert MOV video to YouTube FLV for shairng. This tutorial shows you how to free convert AVCHD/MOD camcorder videos to MOV format with high quality.